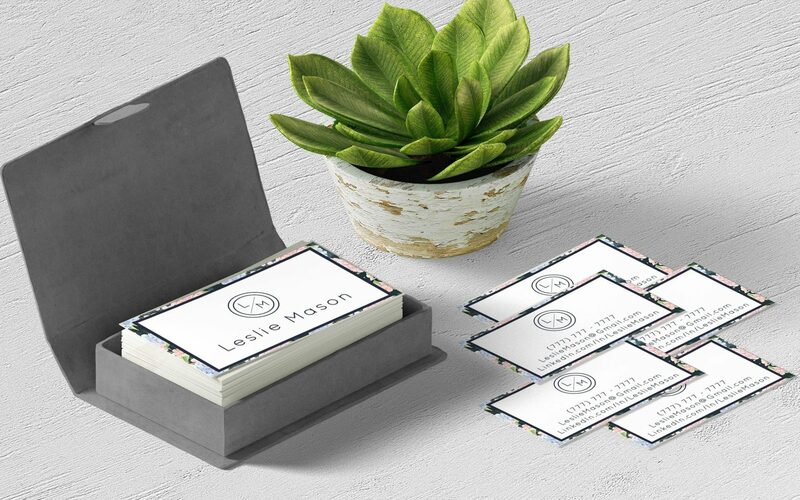 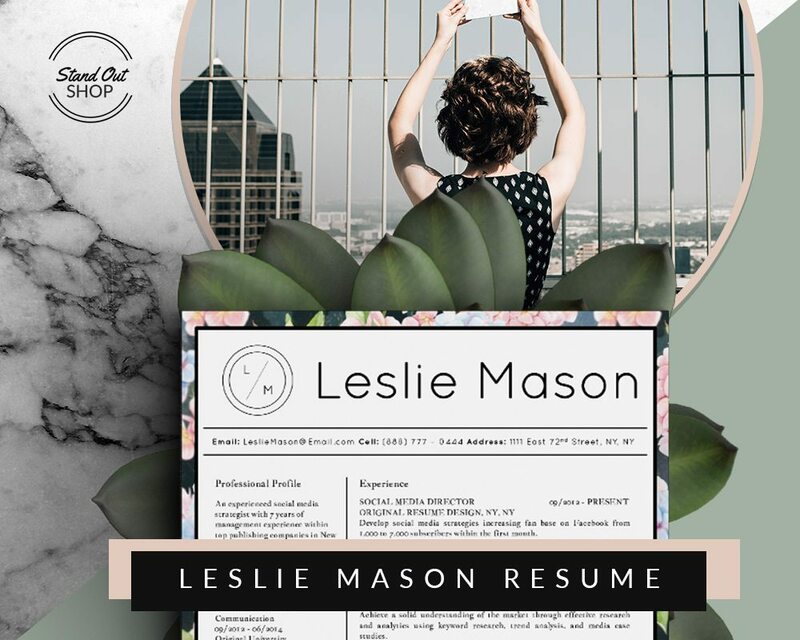 This creative resume template is elegantly feminine. 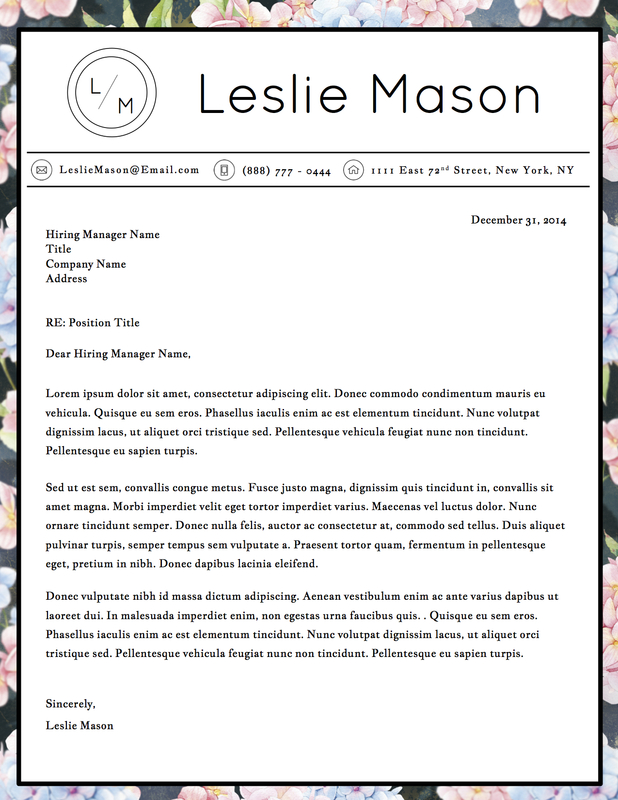 The background image is changeable. 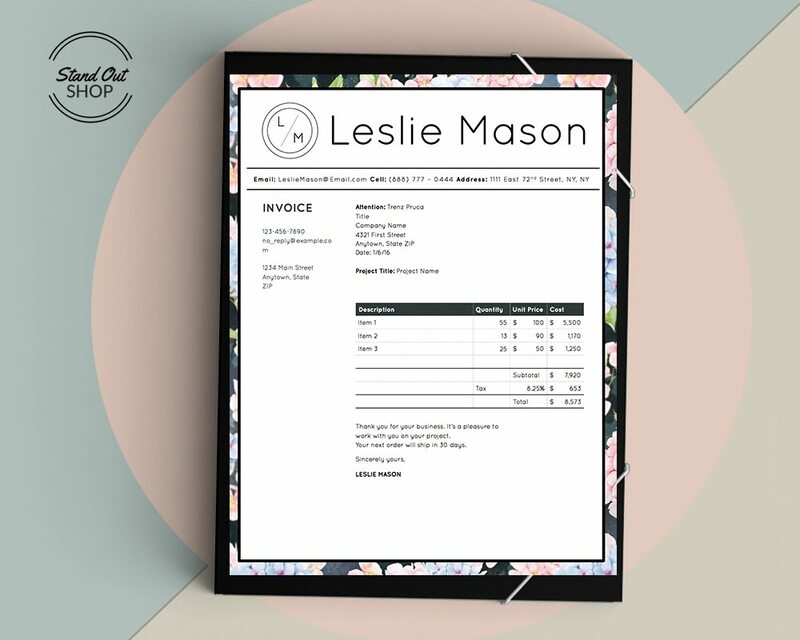 Simply select it, delete it, upload a new one, send it to the back, and customize this template to your complete liking. 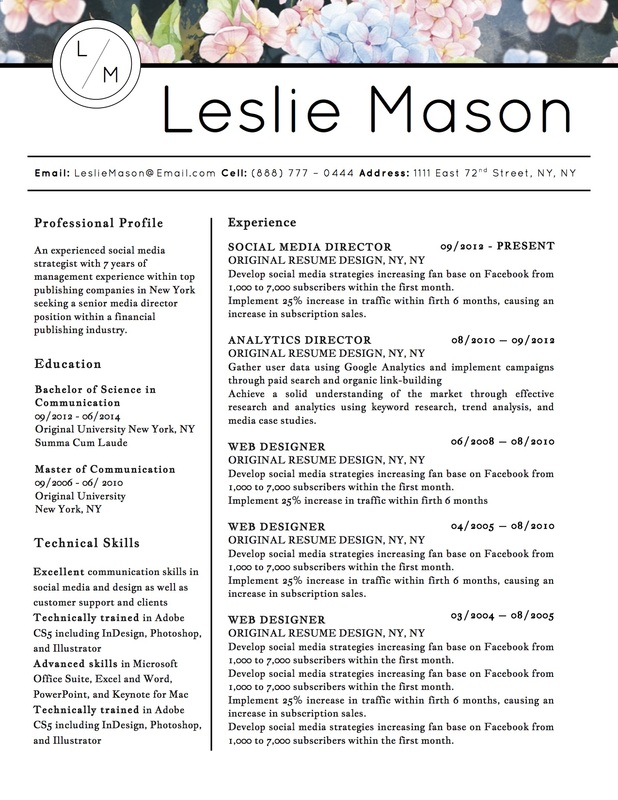 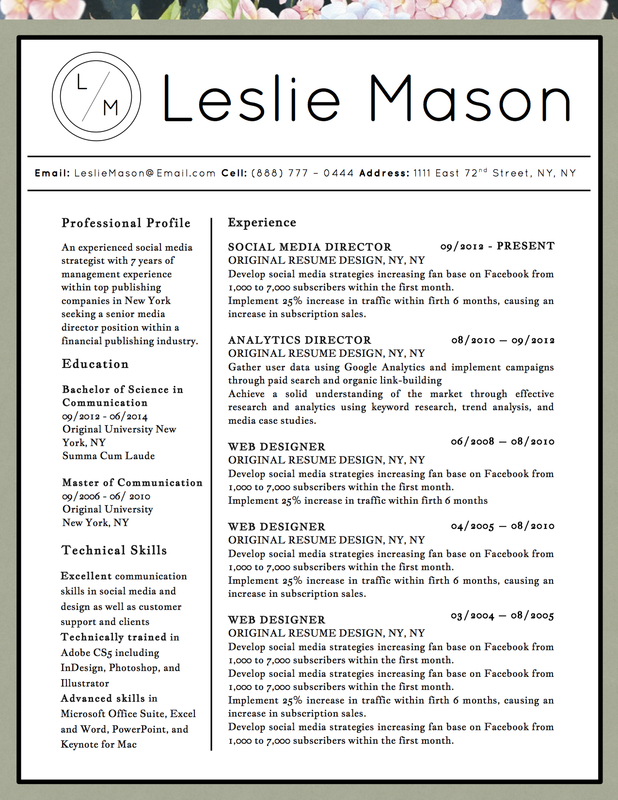 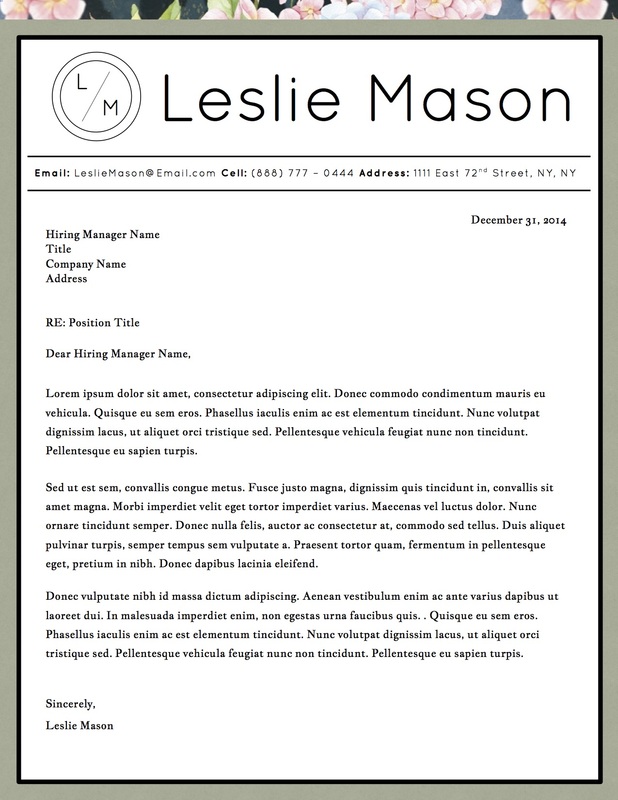 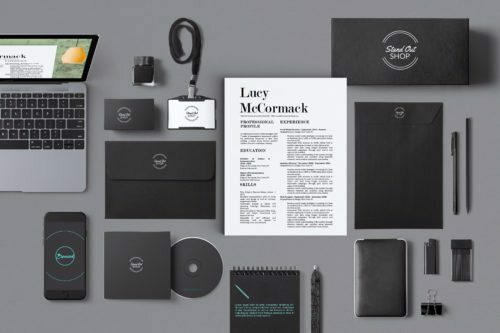 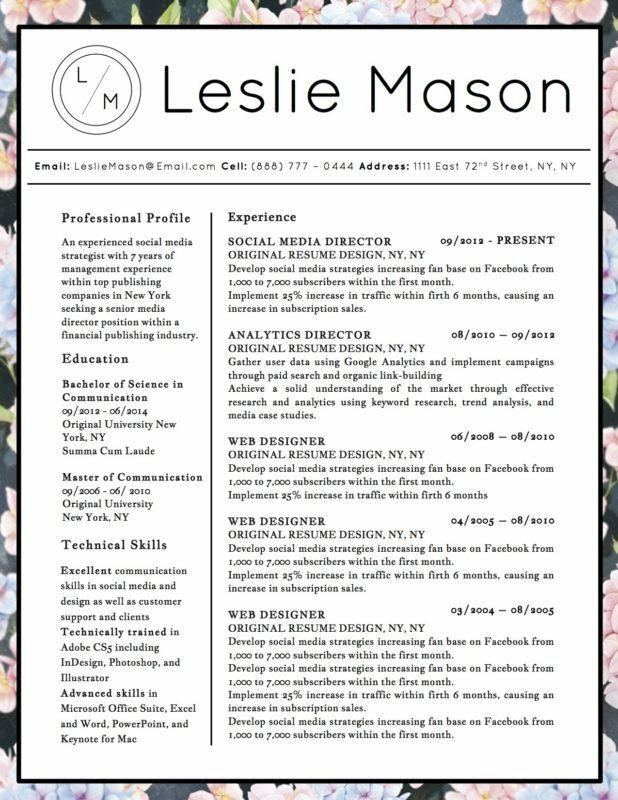 Leslie Mason resume template looks feminine and unique. 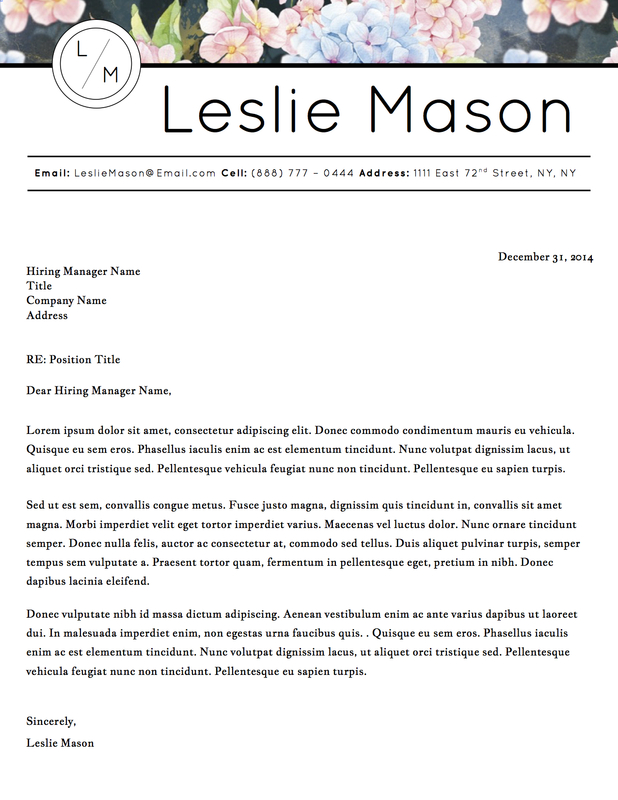 Made specifically for Microsoft Word an Apple Pages, use this template to stand out from the pile. 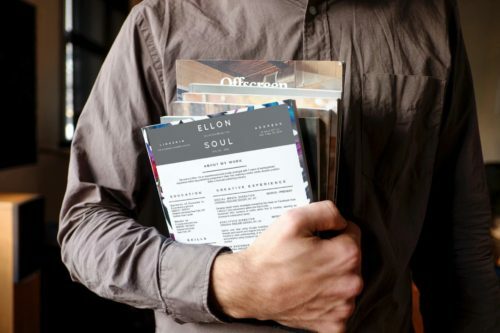 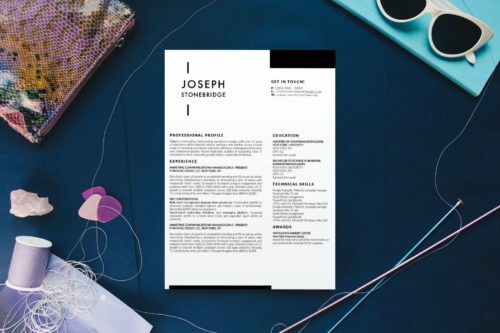 3 Beautiful & Unique Resume Design Styles.